Several weeks ago now I was invited by James to accompany him and Sam to the Crisis show in Antwerp. 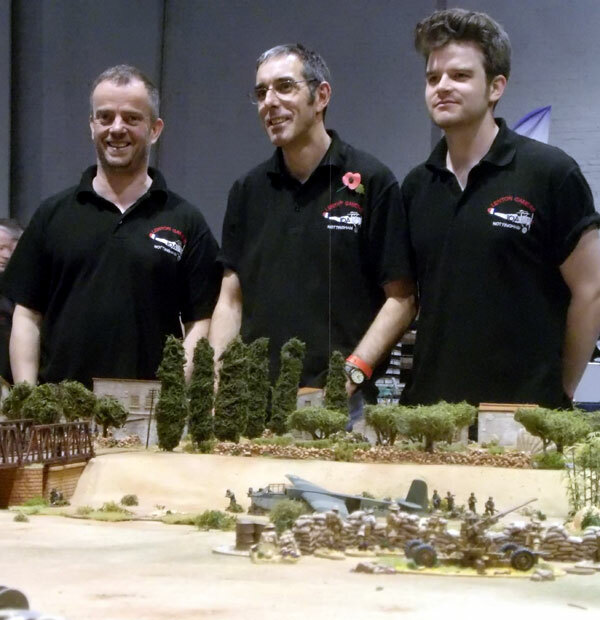 I went with James and Nick a few years ago when we showed off James' Verdun game and then researched the Oppy Wood battle and game. This time we were to take the big Crete game I helped James and Sam out with at Partizan earlier in the year. James and Sam shared the driving (thanks guys) and we spent the trip planning future games and discussing the differences between Crisis and the UK shows. If you want to hear the nonsense Sam has a Podcast that you can download and listen to if you're young and hip to such things. We arrived early evening and set up the table then went out to sample the delights of Antwerp. We dined with WSS editor Guy and his partner at a splendid Arabian restaurant we chanced upon. Then James, Sam and I discovered Antwerp's gayest bar which was a splendidly convivial spot for several strong Belgian beers. Fortified the following morning by a large breakfast (including waffles) we returned to the hall and added all the toys. On this occasion we were going to use the I Ain't Been Shot rules. 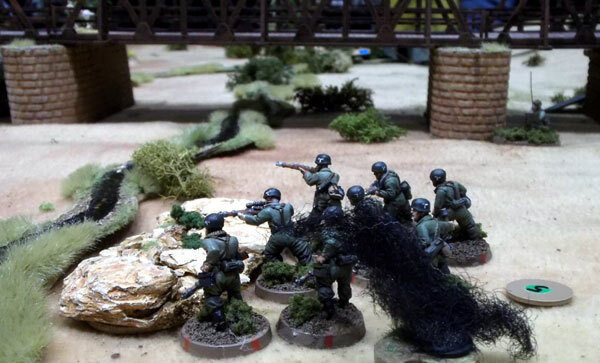 Previous run-outs had seen both Chain of Command and Bolt Action given a go. 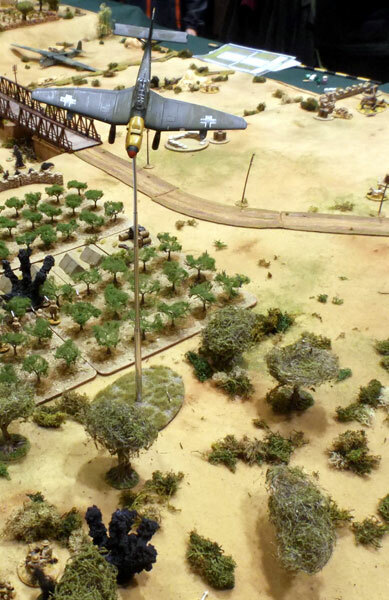 However neither really took advantage of the epic sweep of the table and tended to result in a game played in about a 6x6 square with the rest of the models as set dressing. 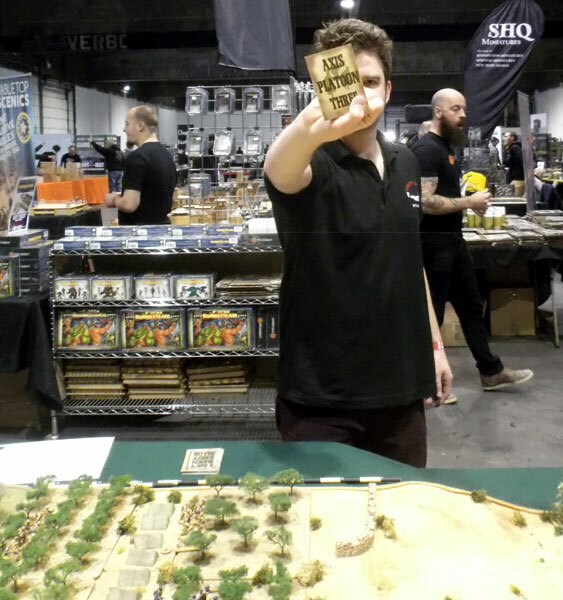 James and I had used IABSM before in the Keren game at Salute and we'd discussed it before Partizan, however James felt at the time (quite rightly) that Sam and Mike had only just come over to CoC from BA and adding yet another set of mechanics into the mix might be too much to handle. 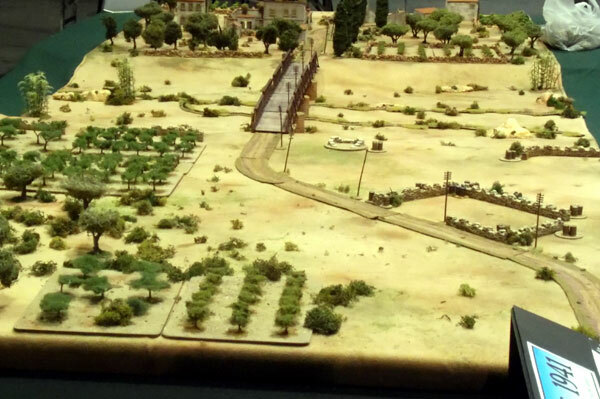 However this time we were hoping IABSM (modified to use "Big Inches") would mean we could make far more use of the whole table and many more of the soldiers. 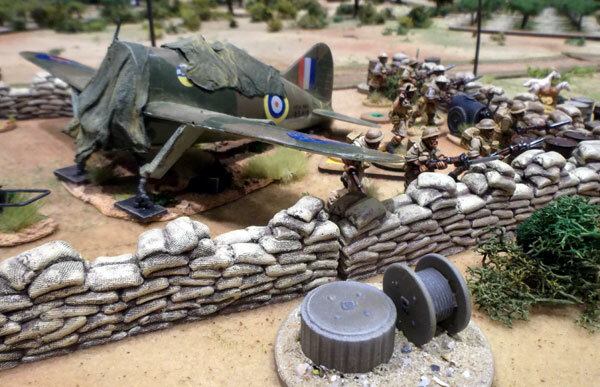 The Vickers team on the hill did little damage to the Germans but proved a Stuka magnet. Evidently this was very important at the time. More Cretan partizans lurking innocently among the olives. We had a thoroughly splendid day. Everyone was very complimentary about the game. IABSM worked really well and kept the game flowing nice and simply but did allow many more troops across more of the board to take part. 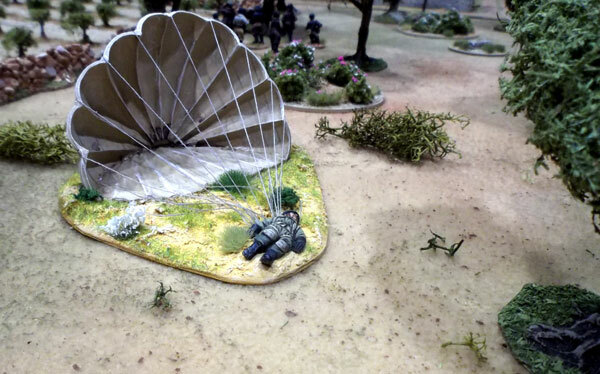 In a slightly unhistorical outcome one of the Matildas made it to the river bed and machine-gunned down the assaulting paras - turning the tide in favour of the New Zealanders! Crisis was a great show. It's hard work having just three people on such a big game. I felt the show was a bit more anglicised than I remember it - most of the big traders from the UK were in attendance and so the unusual things I saw on my first visit seemed less prevalent. But that's a minor (and personal) gripe - it's still by far one of the best shows around and being on the continent adds to the allure. After the show was over we quickly packed up, jumped in the car and headed towards Ypres - which I'll cover in a subsequent post.